SACRAMENTO, Calif. /California Newswire/ — On Monday, Calif. 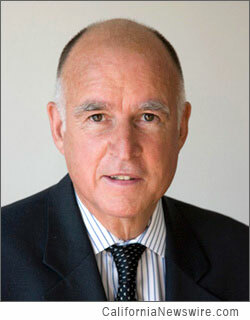 Governor Edmund G. Brown Jr. announced the following appointments. First, Richard Gillihan, 46, of Folsom, has been appointed director of the California Department of Human Resources, where he has served as acting director since 2014. Gillihan has served in several positions at the California Department of Finance since 2002, including program budget manager, assistant program budget manager, chief of information technology operations and consulting and assistant chief and data processing manager at the Office of Technology Review, Oversight, and Security. Gillihan served in several positions at the California Department of the Youth Authority from 1994 to 2002, including data processing manager in the Information Technology Office, associate programmer analyst at the N.A. Chaderjian Youth Correctional Facility, programmer II at the Preston Youth Correctional Facility and programmer I in the Training Services Division. Gillihan was an independent information technology consultant from 1991 to 1994. This position requires Senate confirmation and the compensation is $167,004. Gillihan is registered without party preference. Steve Satake, 46, of Elk Grove, has been appointed labor relations officer at the California Department of Human Resources. Satake has served as a labor relations specialist at the California Franchise Tax Board since 2013. He served in several positions at the California Department of Transportation from 2006 to 2013, including labor relations specialist, labor relations analyst and associate personnel analyst. Satake served as a workers’ compensation claims adjuster at the State Compensation Insurance Fund from 2004 to 2007, was a pharmacy technician at Escalante Solutions from 2003 to 2004 and was a pharmacy technician and retail clerk at Thrifty-Payless RiteAid from 1987 to 2003. This position does not require Senate confirmation and the compensation is $84,720. Satake is a Republican. Michele Minor, 53, of Galt, has been appointed to the California Department of Corrections and Rehabilitation Board of Parole Hearings. Minor has been project manager at the Richard A. McGee Correctional Training Center since 2013 and has served in several positions at the California Department of Corrections and Rehabilitation since 1985, including deputy director at the Office of Rehabilitative Programs, program administrator at the Stockton Training Center, lieutenant at the Division of Juvenile Justice, sergeant at the California Youth Authority and officer at the Heman G. Stark Youth Correctional Facility. This position requires Senate confirmation the compensation is $117,504. Minor is a Democrat. Laurie Yoo, 41, of South Pasadena, has been appointed to the California Commission on Disability Access. Yoo has been associate general counsel at Westfield LLC since 2007. She was a partner at Katten, Muchin, Rosenman in 2006, where she was an associate from 1998 to 2006. Yoo was a legal intern at the U.S. Holocaust Memorial Museum Office of Legal Counsel in 1996. She earned a Juris Doctor degree from the University of California, Los Angeles School of Law. This position requires Senate confirmation and the compensation is $100 per diem. Yoo is a Democrat. Miguel Avila, 57, of Santa Barbara, has been appointed to the 19th District Agricultural Association, Santa Barbara Fair and Exposition Board of Directors. Avila has been a realtor at Sterling Properties since 2005. He was a district representative at American Communications Network from 2001 to 2005 and a produce manager at Safeway from 1985 to 2000. Avila is president of Friends of Woni Kenya International. This position does not require Senate confirmation and there is no compensation. Avila is a Republican. Mary Rose, 57, of Santa Barbara, has been reappointed to the 19th District Agriculture Association, Santa Barbara Fair and Exposition Board of Directors, where she has served since 2012. Rose has been principal consultant at Mary Rose and Associates since 1980. She is a member of the Association for Women in Communications Santa Barbara Chapter Board of Directors and the Women’s Economic Ventures Advisory Committee. Rose earned a Master of Business Administration degree from the California Lutheran University. This position does not require Senate confirmation and there is no compensation. Rose is a Democrat. Shanna Long, 46, of Corning, has been appointed to the 30th District Agricultural Association, Tehama District Fair Board of Directors. Long has been co-owner of Greg Long Ranch since 1995. She is a member of the California Farm Bureau Federation. This position does not require Senate confirmation and there is no compensation. Long is a Republican.